Cystic fibrosis is caused by mutations in the CFTR gene, which encodes an ion channel protein that regulates anion movement across the epithelial membranes of the lungs, pancreas, and other organs. In cystic fibrosis patients, anion transport is impeded, causing sticky, viscous mucus to build up and clog these vital organs. 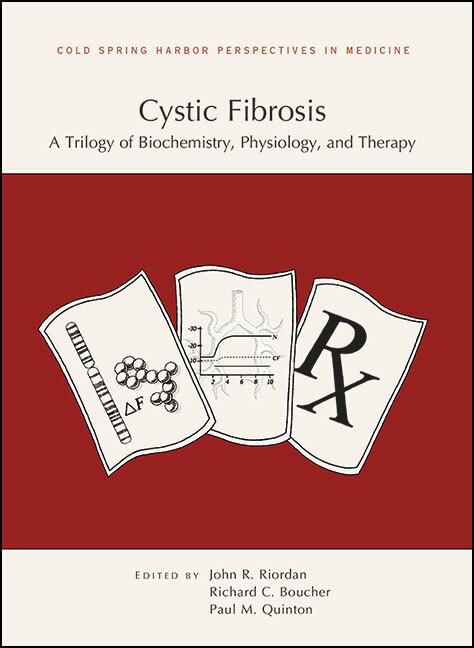 Written and edited by experts in the field, this collection from Cold Spring Harbor Perspectives in Medicine provides an in-depth examination of cystic fibrosis biology and treatment strategies. Contributors examine the structure and dynamics of CFTR, its normal physiological roles in the airway and digestive epithelia, and how those operations are impaired in patients with cystic fibrosis. The numerous CFTR mutations and how they alter the expression, synthesis, processing, and function of CFTR in cystic fibrosis and other CFTR-related disorders are considered, as are disease-modifying genes that influence disease severity. This volume includes discussions of therapy and treatment strategies for cystic fibrosis, ranging from airway clearance techniques and pancreatic enzyme replacements to the modulation of CFTR and related ion transport pathways. It will be an essential reference for molecular and cellular biologists, physiologists, and clinicians interested in understanding the biological basis of the disease and the search for effective therapies.